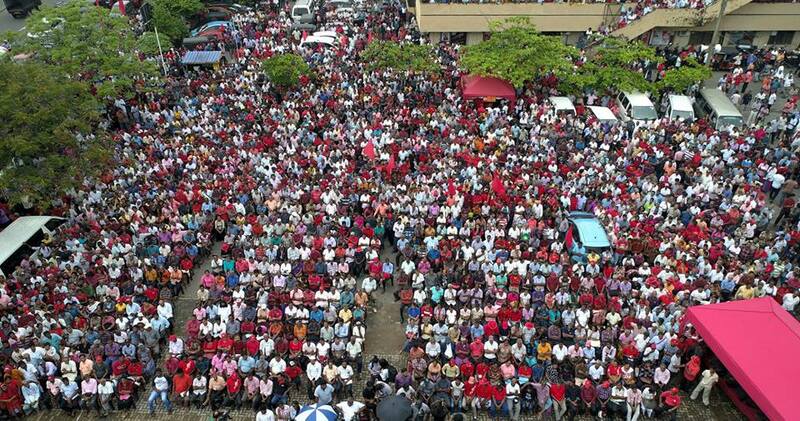 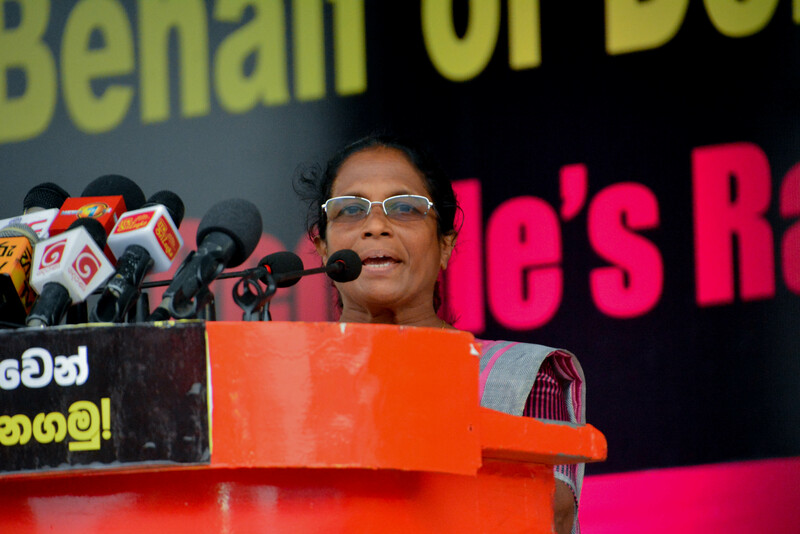 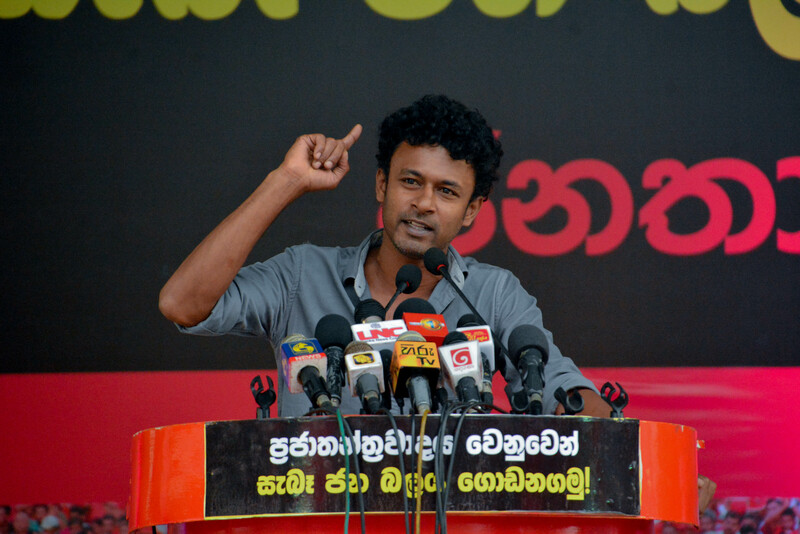 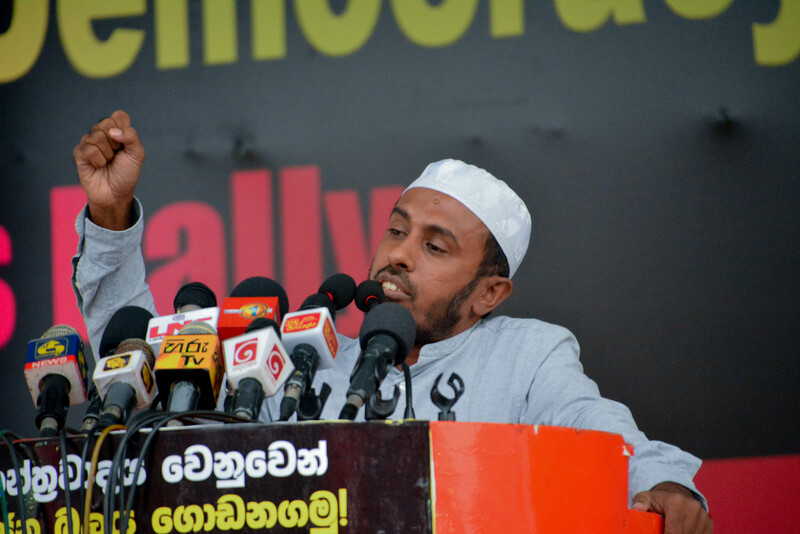 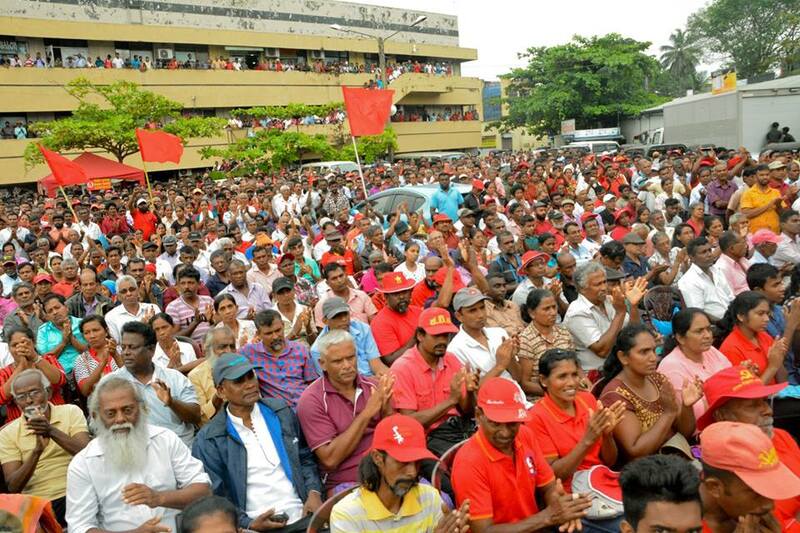 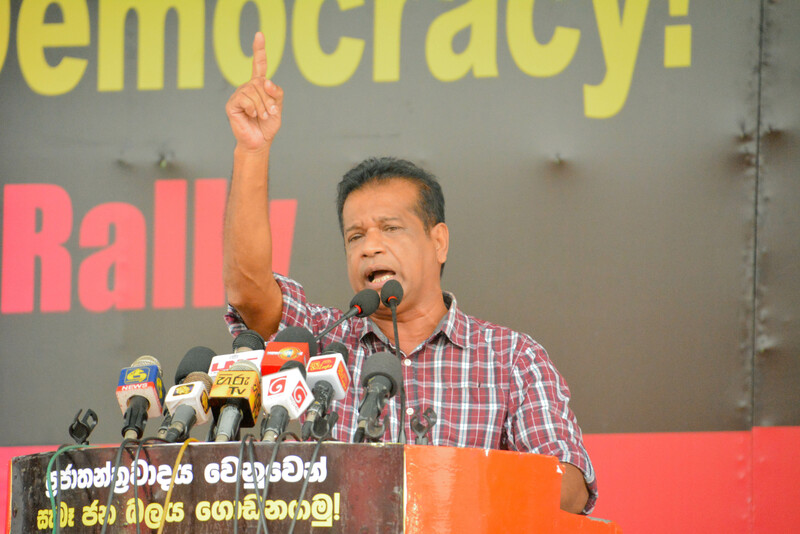 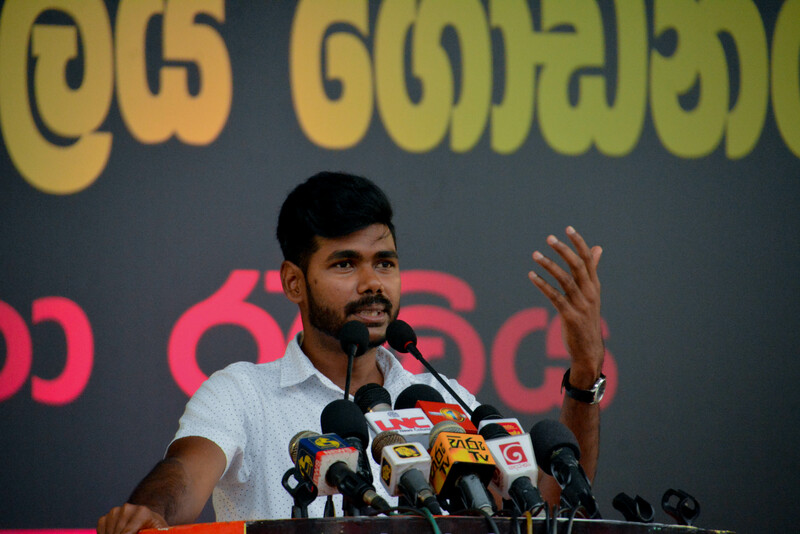 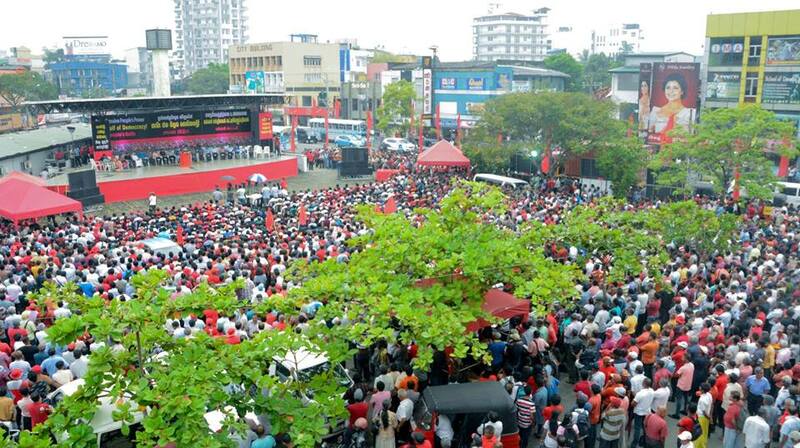 The people’s rally organized by the JVP under the theme ‘Build Genuine People’s Power on behalf of Democracy!’ was held at Nugegoda yesterday (1st). 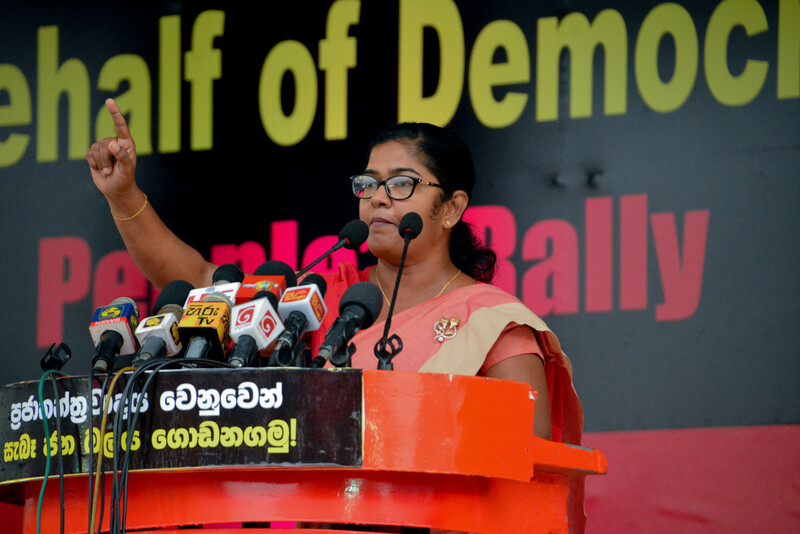 A large crowd attended the rally that had been organized with the intention of defeating the deteriorating political system of the rulers and to invite the masses to build a people’s democracy. 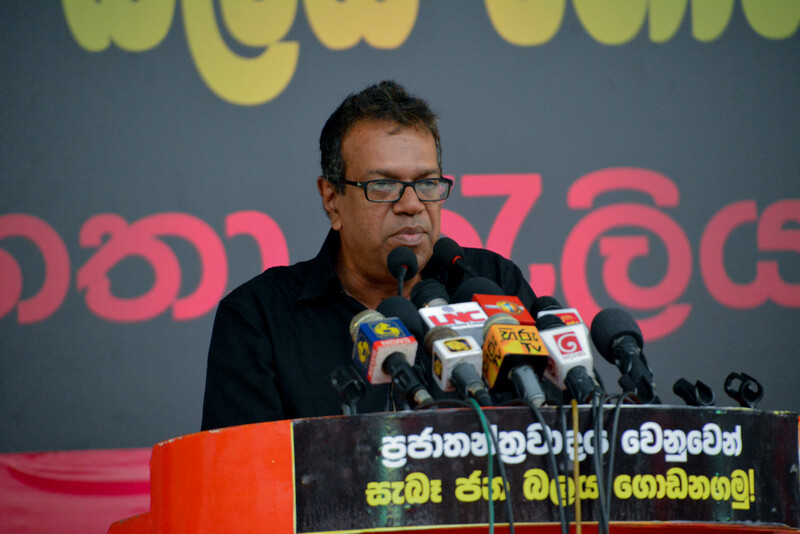 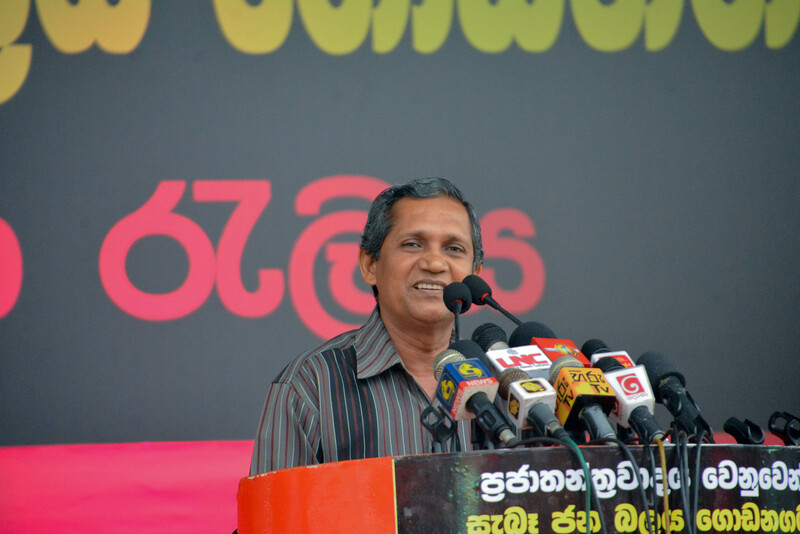 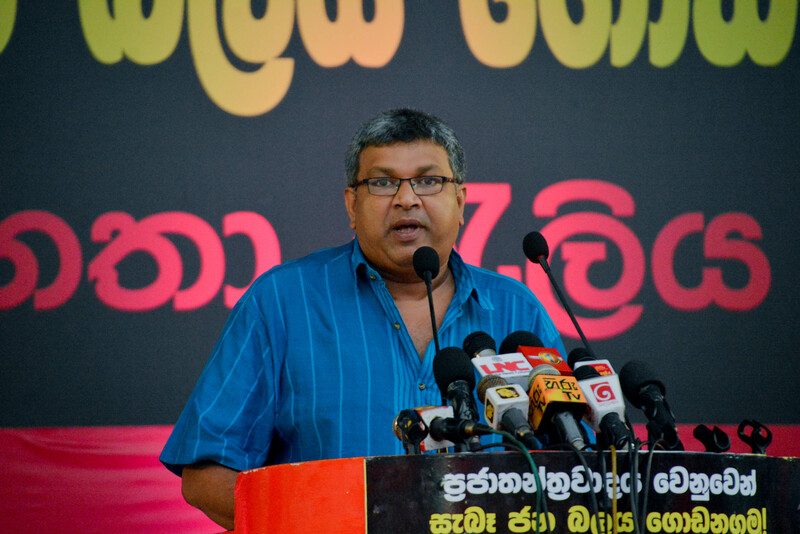 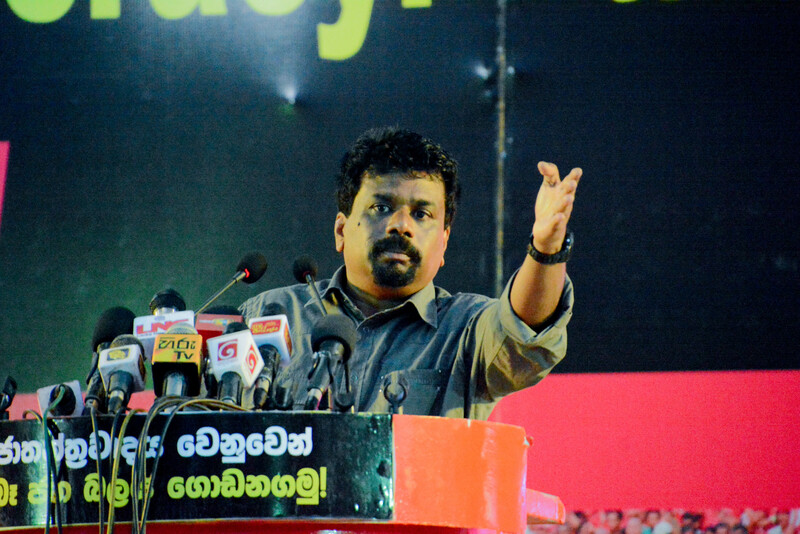 The Leader of the JVP Comrade Anura Dissanayaka, ithe General Secretary Tilvin Silva, Dr Vijitha Rohana -Senior Lecturer of Kelaniya University, Attorney at Law Harshana Nanayakkara, Mr Thihar Ibrahim – Advisor to Muthir Manufar Mawlinuma, Attorney at Law Nirmala Siriwardene – Former Director of the Financial section of Central Bank, Prof. Chandana abyeyratna – University of Kelaniya, Mr Gunasena Vithana – Author, Mr Ashoka Peiris – Former Ministry Secretary, Dr Anura Kumara -Dean of the Faculty of Management in University of Jayawardenepura, Mr Wasantha Perera – Former Chief Accountant, Mr Thiyagaraja Varadas – Lecturer, Dr Dileepa Vithana – Lecturer, Open University, Member of the Political Bureau of the JVP Comrade Lal Kantha, Comrade Saroja Paulraj – Principal, Mr Priyantha Kodippili – Journalist, Mr Anurddha Jayasinghe – Renowned Film director, Senior Lecturer Comrade Vinnie Hettigoda – Cartoonist, Dr Harini Amarasuriya – Senior Lecturer at Open University, Mr Sudantha Madhawa – Author, Information Secretary of the JVP Comrade Vijitha Herath, Mr Priyankara Ratnayaka – Senior Lecturer, Mr Mahinda Priyasad Masimbula – Author, Attorney at Law Shantha Jayawardene, Mr Priyantha Kaluarachchi – Film Director, Dr Ajith de Mel – Senior Lecturer at University of Ruhuna, Dr Anura Karunatilleke – Senior Lecturer at University of Kelaniya, Dr Athulasiri Samarakone – Senior Lecturer at Open University, Ms Deepani Silva – Renowned Artist, Attorney at Law Upul Kumarapperuma, Mr Thushara Hettithanthri – Economic Analyst, Mr Jagath Manuwarna – Renowned Artist, Attorney at Law Manjula Balasuriya, Attorney at Law Thanuka Nandasiri, Mr Anthony Jeewa – Author, Mr Chandrasoma Binduhewa – Renowned artist, Dr Chandala Jayalath – Quantitative Analyst, Mr Chaminda Jayasuriya – Renowned Artist, Mr Anura Srinath – Renowned Artist, Mr Lalith Rajapaksa – Renowned Artist, Mr Udeni Alwis – Renowned Artist, Mr Saman Hemaratna – Renowned Artist, Dr Bandara, Mr Supun Dissanayaka – University of the Visual & Performing Arts, Mr Jagath Chandrasiri – Dramatist, Mr Shalika Wimalasena – Journalist were present as special guests.